Over the past few years, in an effort to 'delight' flyers, flight operators have been trying really hard to do that little extra. When brands, college students and even jail inmates (see this) were participating in flash mobs on ground, we saw such impromptu flash performances 30,000ft above the ground as well; case in point the Finnair flight attendants who did a Bollywood dance number to commemorate India's Republic Day - and this exercise garnered a lot of exposure and reach on digital media. - The only moves the flight attendants should be making are the ones demonstrating safety instructions before take off. That's all. - Brands are constantly on the pursuit of that one glory campaign that can go viral on digital media. There is a relentless endeavour to get a super amplified outreach via shares on Facebook, views on YouTube and trends on Twitter. So much so, that legal or other consequences are sometimes undermined. Social media can really be a double edged sword. - Performing mid-air? Hell, no! I would have been more comfortable if the flight attendants did a celebratory performance at the end of the flight after a safe landing, thank you very much. - Why did the pilot turn into a cameraman? Yes, we know about planes flying on auto-pilot, but mid-air, having a pilot out of the cockpit watching the 'entertainment performance' is discomforting. At a time when air safety is a burning topic, the pilot definitely took a wrong call to step out and watch the show. - MH370 went missing on 8th March. 9 days later, it was Holi, with no further sightings of the plane. The mystery of the missing MH370 has been the leading piece of news since then. I would definitely feel a pit in my stomach when I step into my next flight. 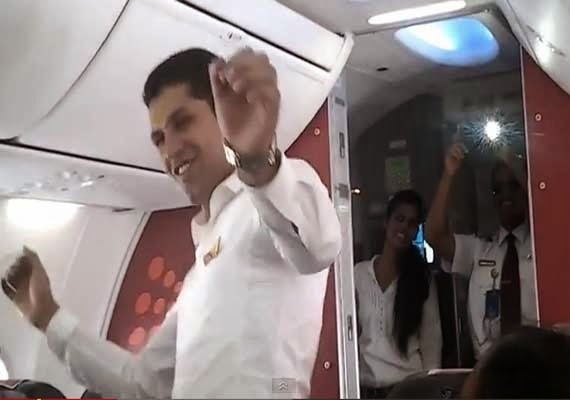 So I honestly feel there could be no worse time for this Holi dance by the flight crew. I would rather everyone quietly do their job, and help us get to our destination, safely, without the music and dance. In a time when the world is fraught with the mystery of a missing airliner, anything out-of-routine happening on flights should be carefully considered. - The choreography was plain boring, the passengers looked unamused, the crew seemed awkward, and the performance extended to well over two minutes. The crew wore white shirts and denims, but their uniforms are way more colourful. - Flight attendants anyway have a tedious job tending to passengers, almost resembling a house-mother's role at a boarding school, but now apart from having them serve food, they have to dance for us too? Come on! 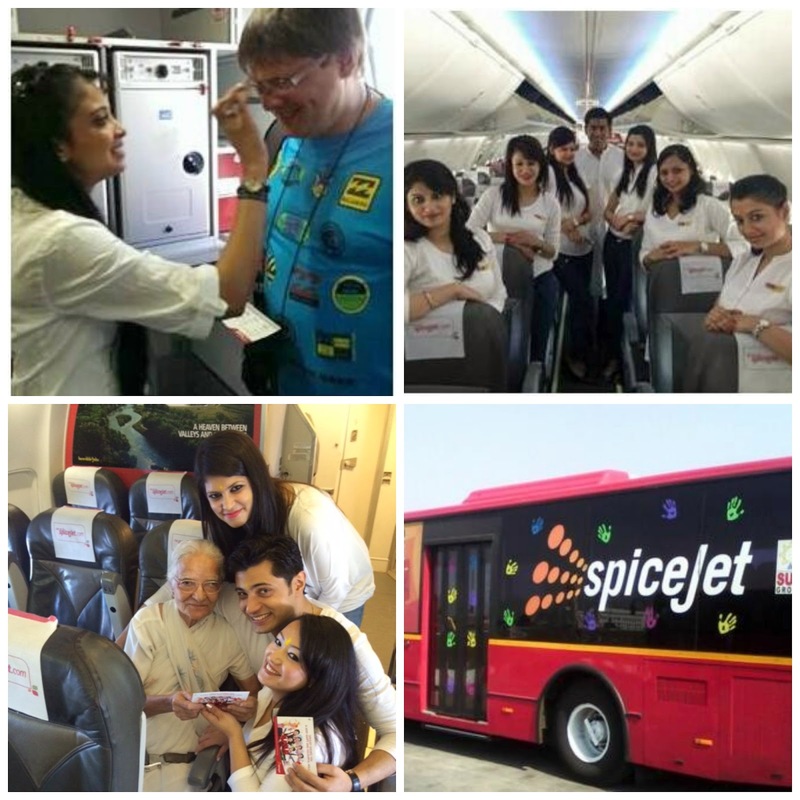 SpiceJet should have just stopped its Holi celebrations at the thoughtful colourful bus branding and the tilak applying. That was sweet enough, something surely the DGCA would not have had an issue with. You might also want to read FirstBiz's post throwing light on the reasons for the show-cause notice.